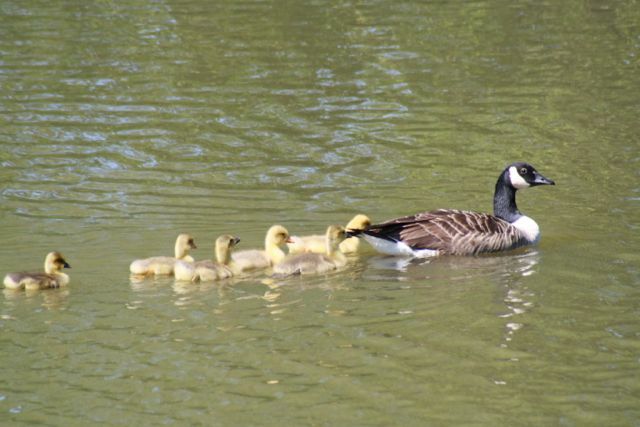 A pair of Canada geese have become parents to six goslings over on the lake at Woodhill Farmhouse. 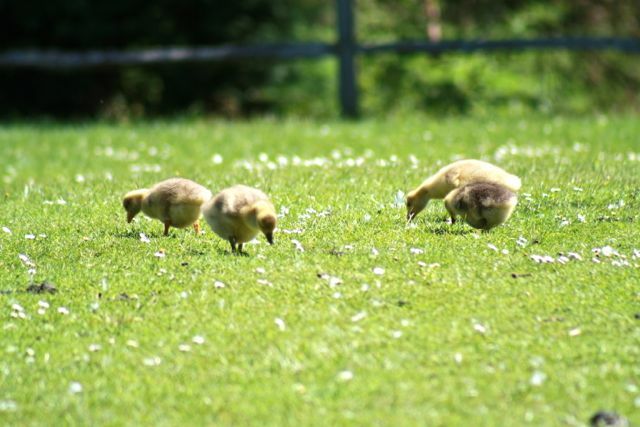 The goslings are, however, not their own. Two are White Embden, two are Greylag and two are Chinese. They are part of a clever plan to reintroduce geese to the lake and to discourage Canada geese from taking up residence. Canada geese are generally a nuisance on the lake. 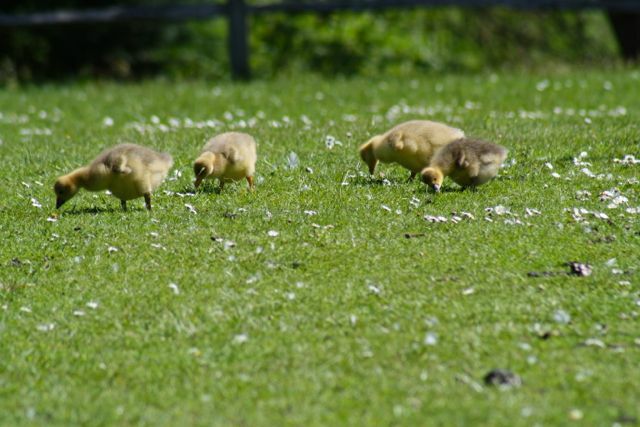 They settle in large numbers and force out the wildfowl. 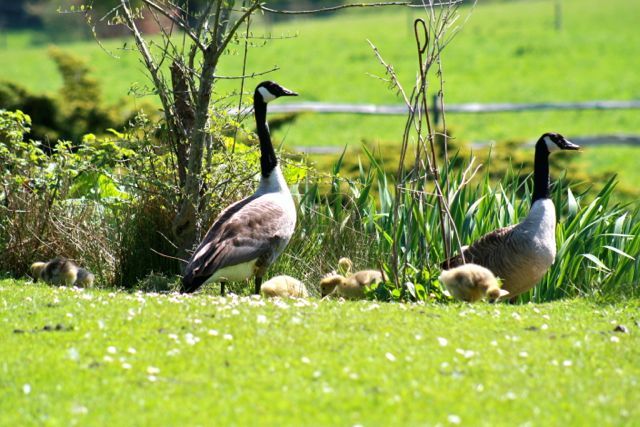 Up until recently, a white Embden farmyard goose, who went by the name of Lucy, would ensure that visiting Canada Geese were sent packing. Unfortunately Lucy was taken by a fox during the winter. 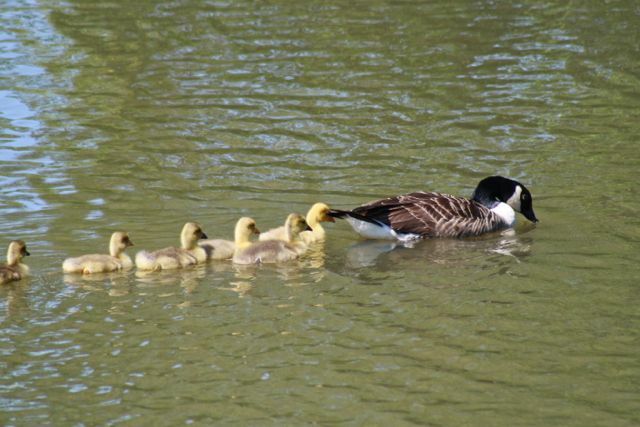 Lucy was very protective of the lake's resident Indian Runner ducks and without her assistance the Runners could do little to prevent the return of the Canada Geese this spring. 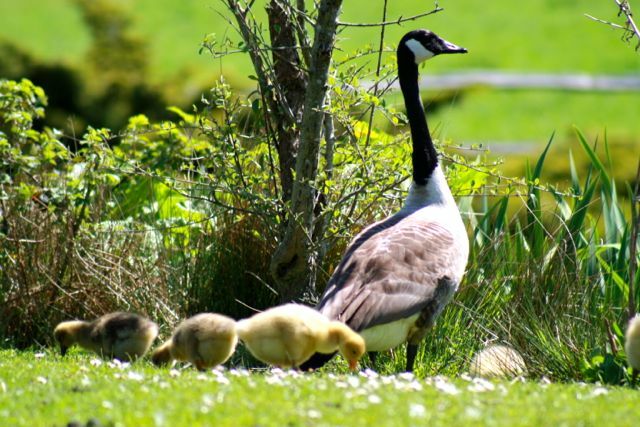 Canada Geese are renowned for being excellent parents, so when a pair settled, built a nest and laid eggs Woodhill Farmhouse's Graham and Ginny Cawsey replaced them with Embden, Greylag and Chinese goose eggs. The mother sat on the eggs throughout the appalling April weather and twenty eight days later they hatched. 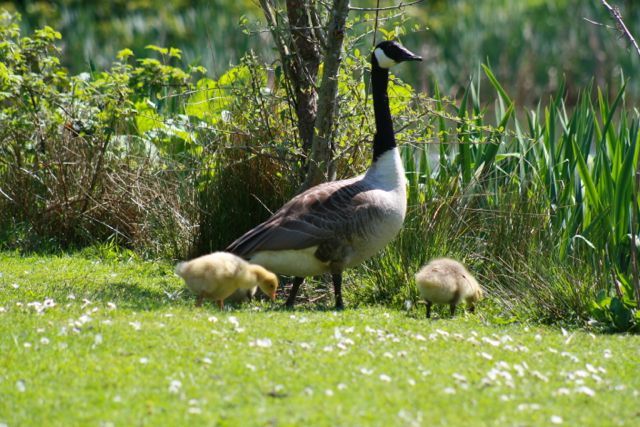 Now the pair of Canada geese are playing the role of surrogate parents to six goslings, all in excellent condition and doing well. 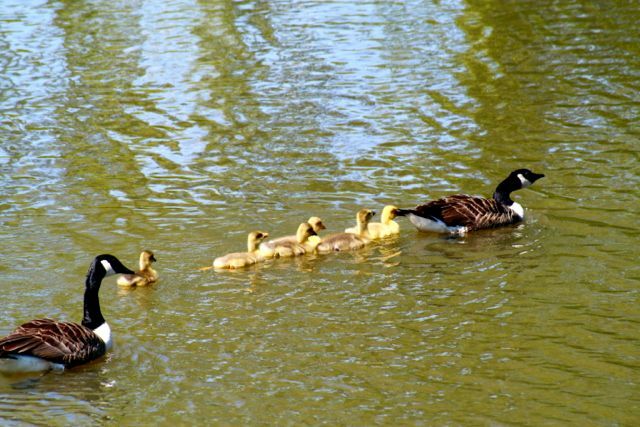 In the autumn the Canada geese will fly off on their annual migration and leave their offspring, who are all flightless breeds, to guard the lake. 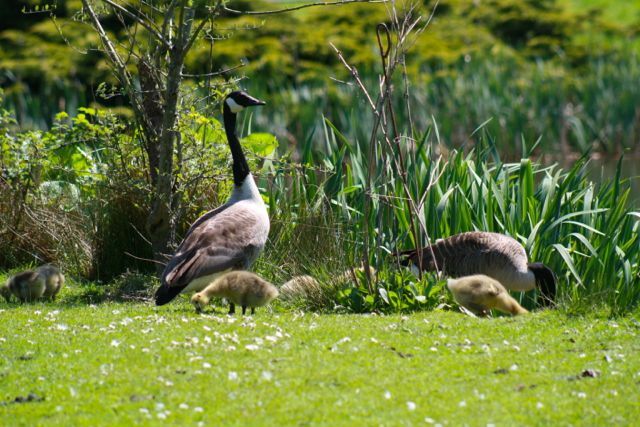 This clever plan eliminates the problem of visiting Canada geese next spring. It's genius. We'll keep you updated on their progress.